Monica is a longtime client of ours. 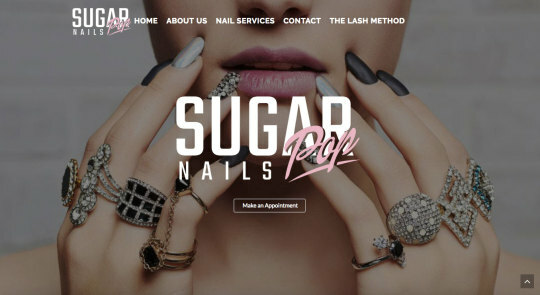 She has built a couple other websites with us for her esthetic businesses. Â She said she wanted us to rebuild a site she made onÂ a different CMS, so she could have all her sites in one spot. Monticello City contacted us a few weeks back, in a serious pickle. Their previous site went down suddenly, and couldnâ€™t be brought back up. They asked that we get something back up immediately. We love when companies improve their team unity! Â Creating an internal site, meant specifically for your company is a great way to keep everyone informed of the latest and greatest news, notify of imperative information, and make sure everyone has access to appropriate contacts and documents. 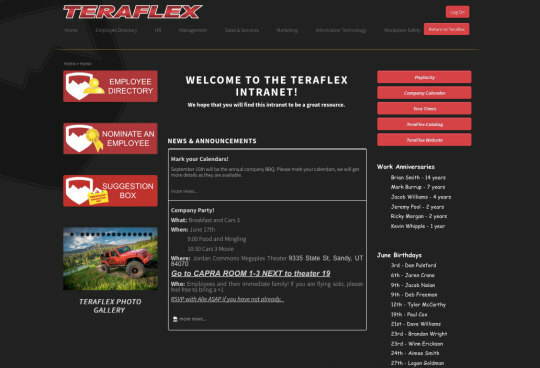 We are true advocates for company Intranets!Teraflex wanted an internal way to provide all the aforementioned items to their large staff, without having to constantly attach items in mass emails and avoid pesky email threads. Our SquareHook tool allowed for all their awesome feature requests, and we couldn’t be happier with the results!One of their main requests was an Employee Directory. 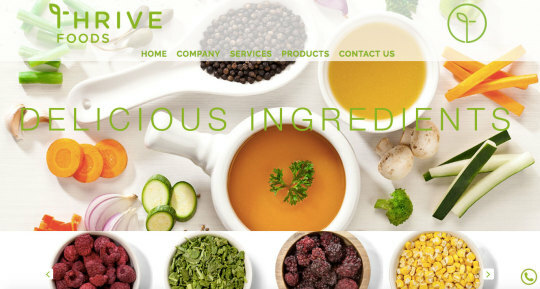 We had a great time working with Vice President Joe, to make this site. 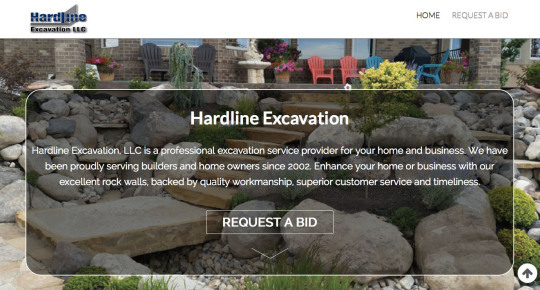 He wanted to create the base of the site on his own, and we came in to add some additional features to give that WOW factor. Â I mean, come on! How gorgeous is this site? Itâ€™s not hard to be attracted to this site, with all the beautiful visuals to wet your appetite to learn more! Â The home page was really basic. Radiant Plans came to us with a dilemma. 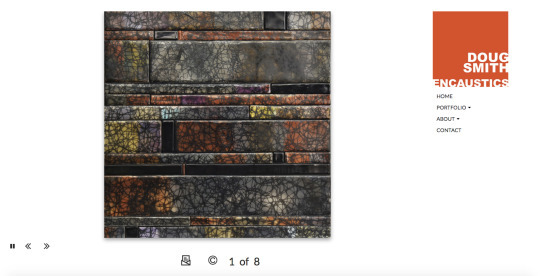 Their previous site was so many things: over-saturated with color, unable to be edited, out of date, and NOT mobile friendly. They needed help, bad!Â Not only that, but they were very serious about being able to edit their own site. We were stoked to jump at the chance to redesign the Gallivan Center. 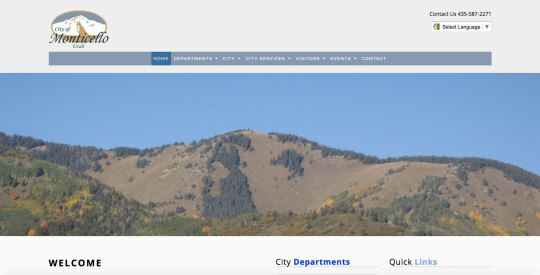 Â We have been to tons of events there, and were so tickled at the chance to make their site more mobile friendly and really showcase what they offer!We involved one of our talented graphic designers to work with the Gallivan Center to created a really engaging site with that WOW factor! Take a look, yowza!We have been building out a way rad feature that Gallivan Center took advantage of. They can easily add events to their Calendar at any time. 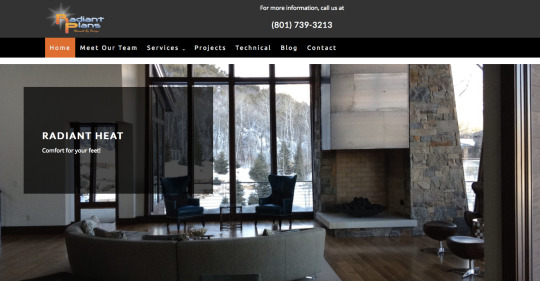 We know businesses that have been around for decades without having a website. But to really thrive in this business world, these days, you need to have some sort of online presence. Starting small with social media (Facebook, Google Plus, etc) is a great, free option. 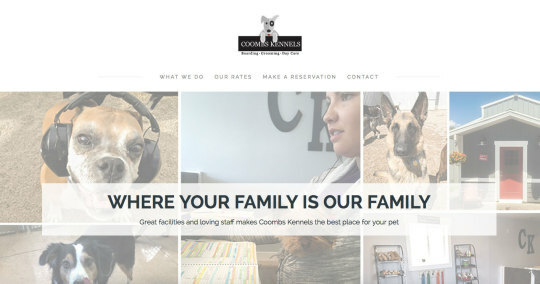 We were so excited to help out Coombs Kennels when they contacted us. Their old WordPress site was regularly being compromised, and they couldnâ€™t edit their site whenever their business changed. We involved our graphic designer, Ai to help create a fun, inviting look for the newly renovated Pet Care facility.